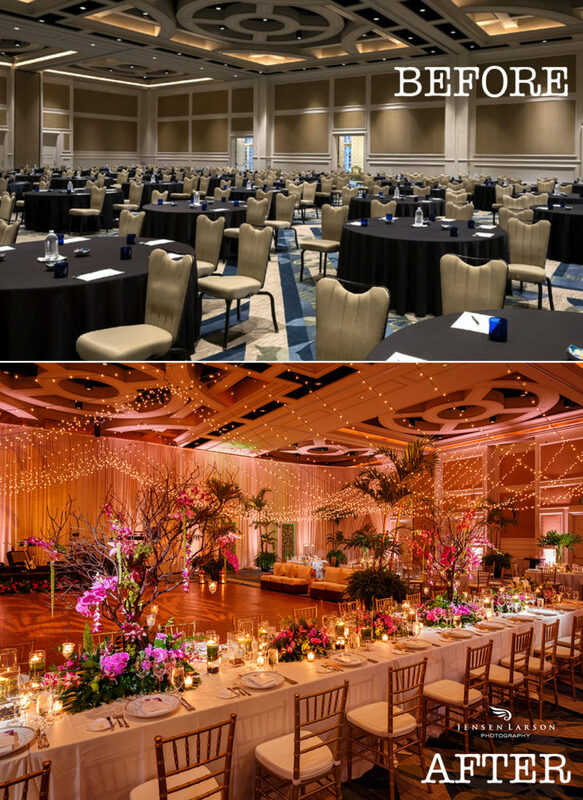 We lit up the Grand Ballroom with our signature Fyerfly lights (market lights) and amber uplighting. 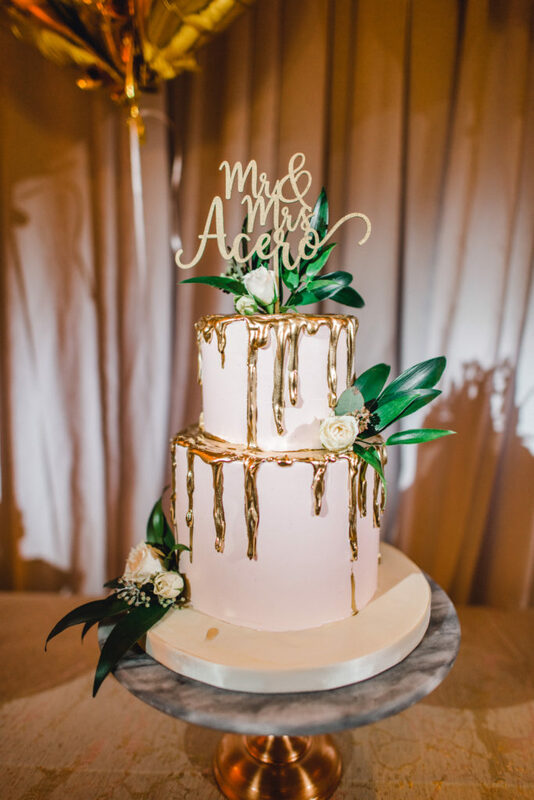 You know you need a pin spot to show off that outstanding cake! 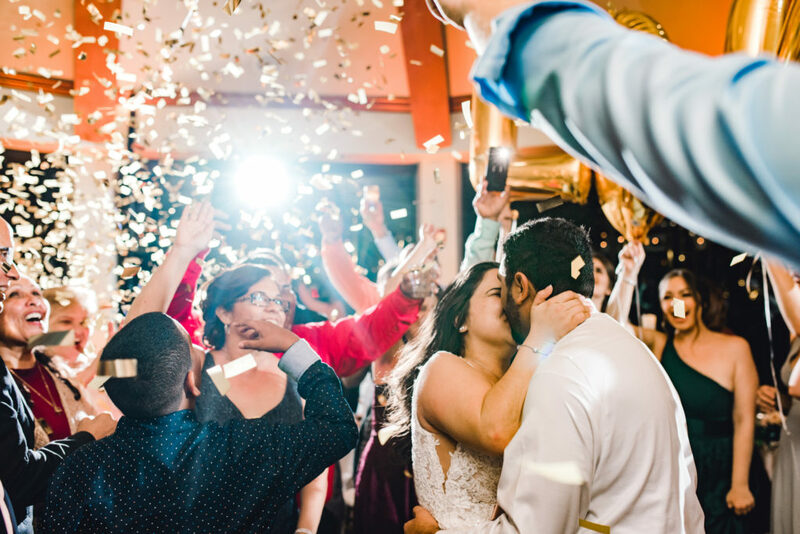 Ending the night with some gold confetti and big smiles. 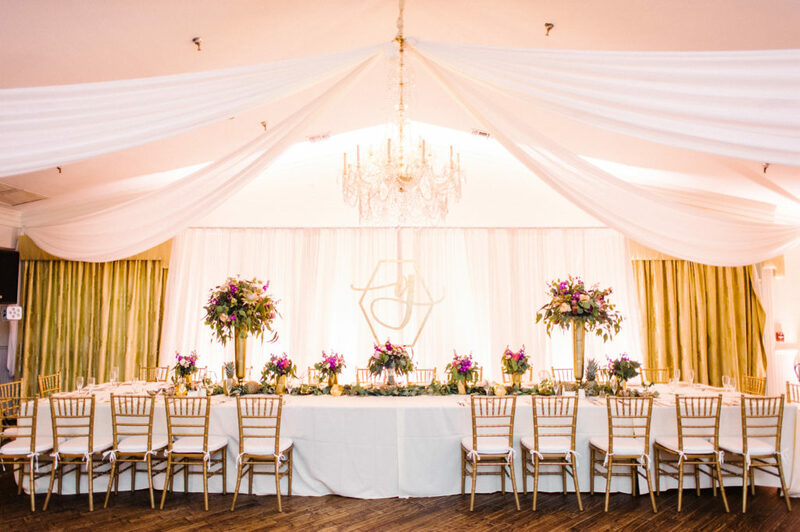 High School sweethearts Alex and Emily were married at the gorgeous Highland Manor. 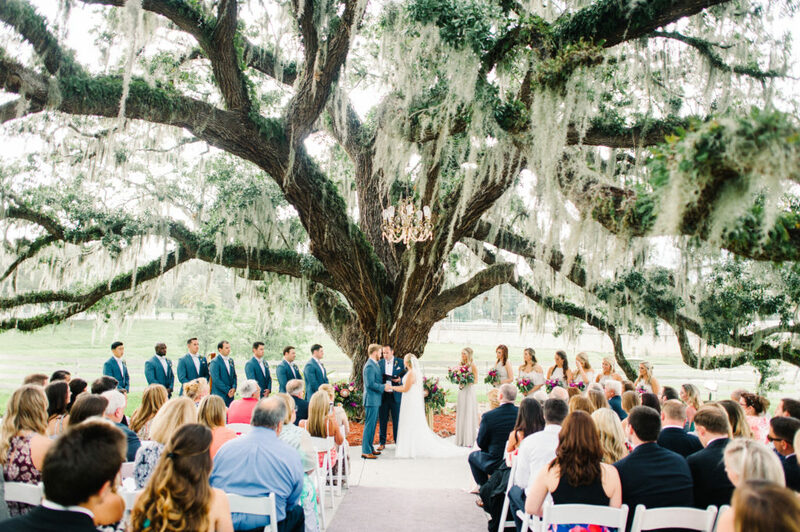 It was a gorgeous Florida day as they got married under the old oak tree. 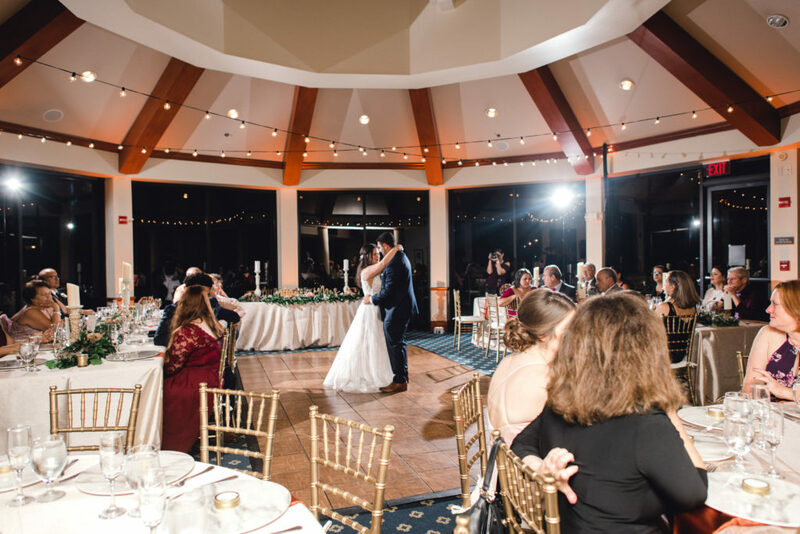 They let us light up their wedding with a lighted canopy and uplighting. 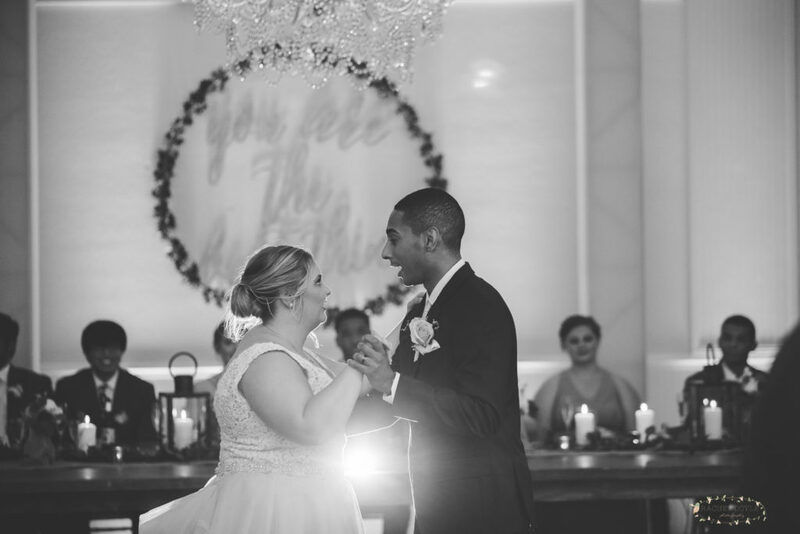 The beginning to Mike and Paige’s love story is one that will most likely be told for the remainder of the year… Why? 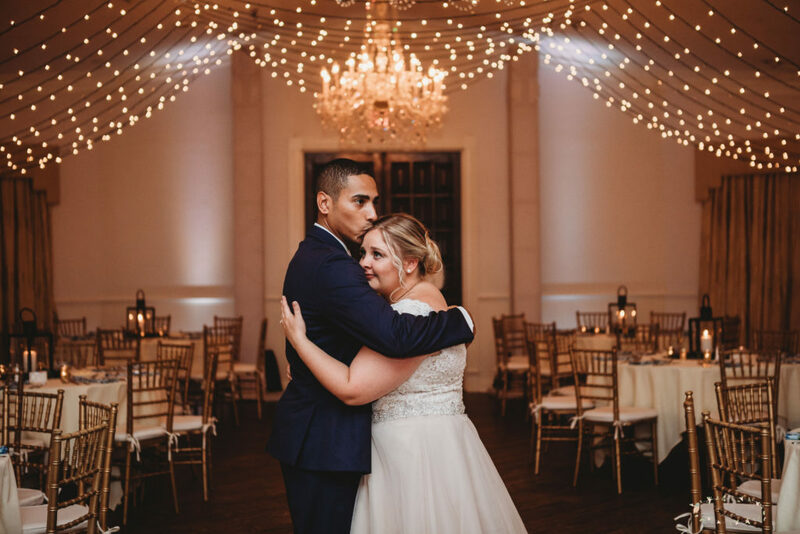 Because their day was that beautiful from start to finish. 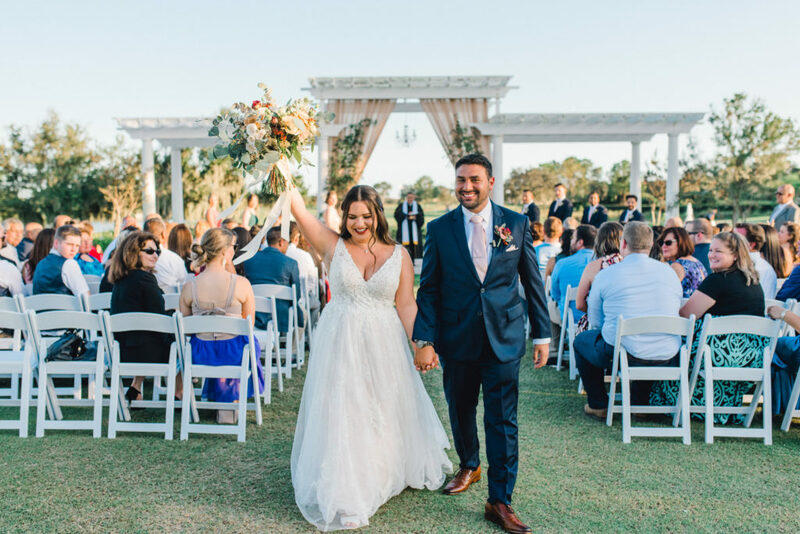 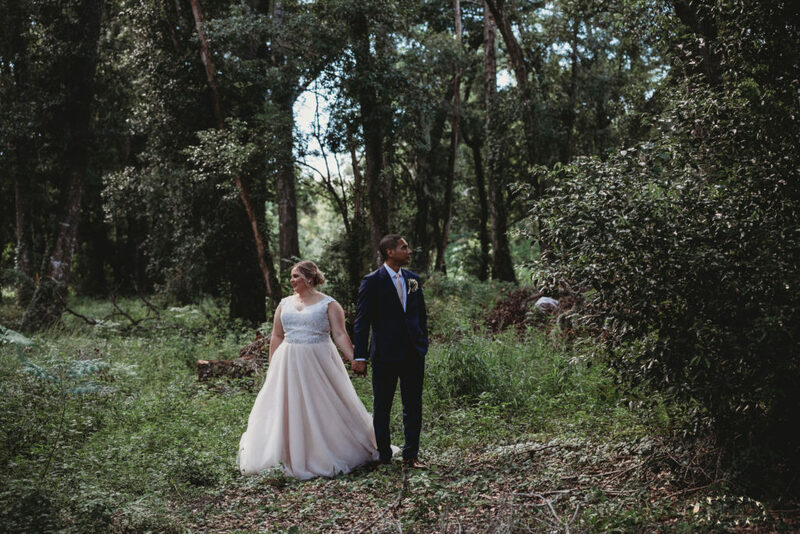 Starting off the day with their ceremony under the big Oak tree… Christine McPhail strummed away as the bridal party marched down the aisle… Avoiding a slight drizzle, the ceremony went off without a hitch. 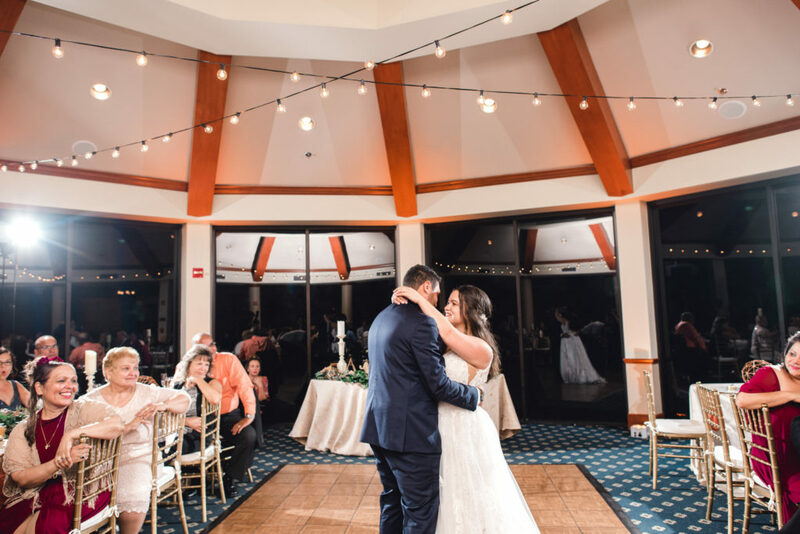 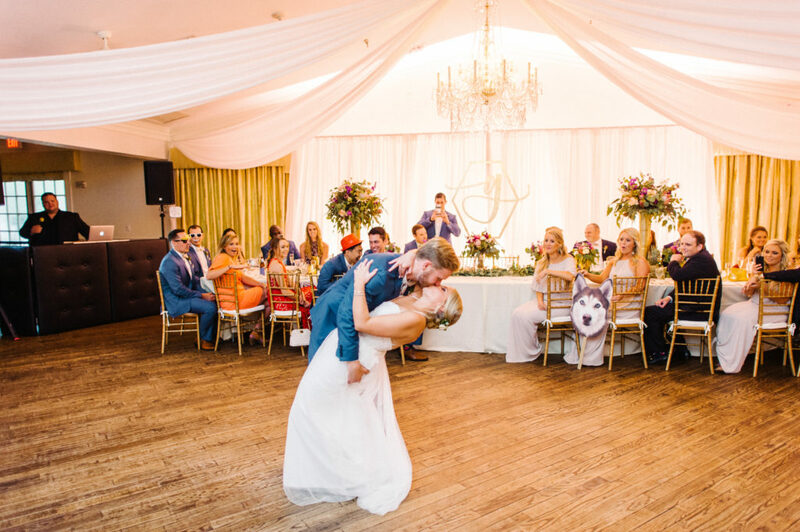 Celebrating and proclaiming their love for each other, Mike and Paige exchanged rings and tied the knot, sealing their new love with a kiss! 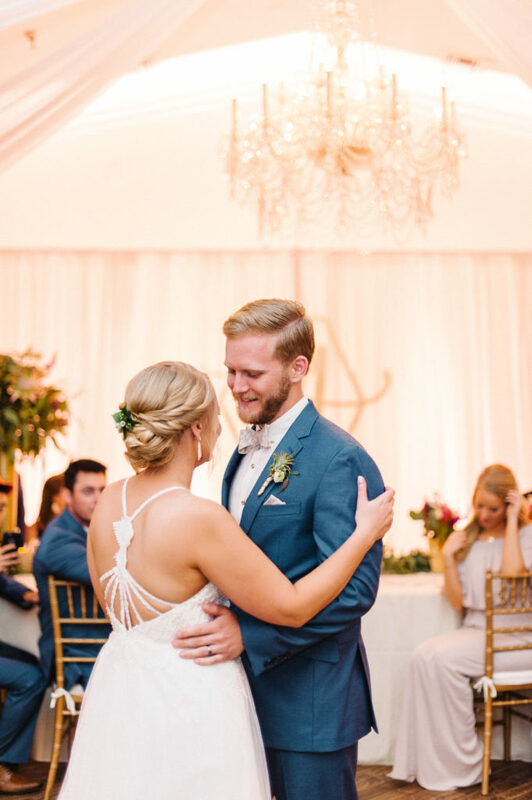 Next up, Cocktail hour! 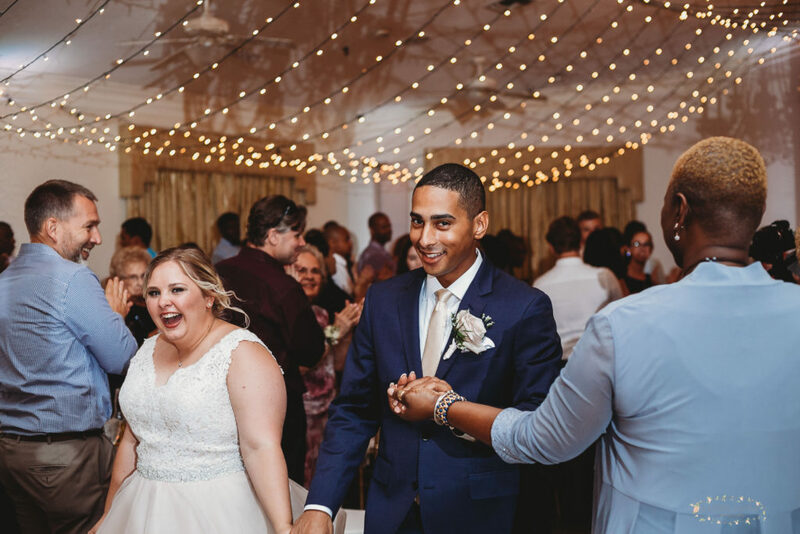 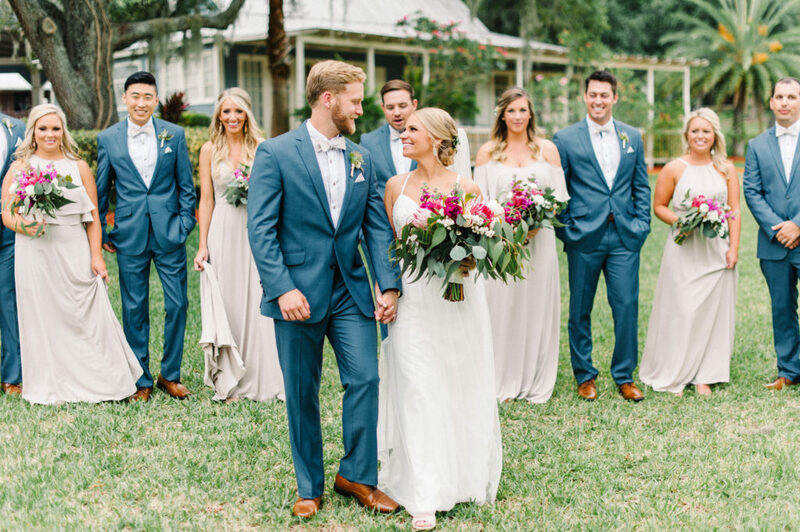 While their guest reconnect with family and friends that they have not seen in years… the the ever so talented photographers at Josh&Rachel Photo capture the sheer beauty of the bridal party. 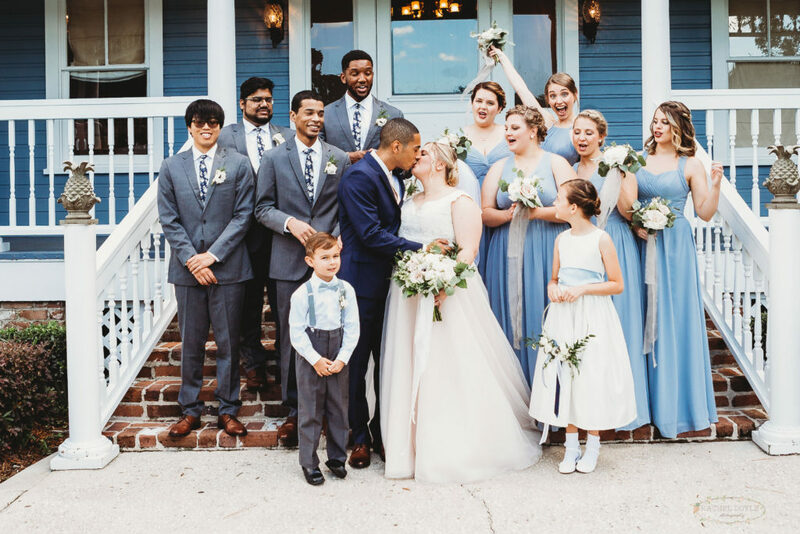 With 14 members strong, this bridal party was young, talented, and even more beautiful in their Blush and Blue’s. 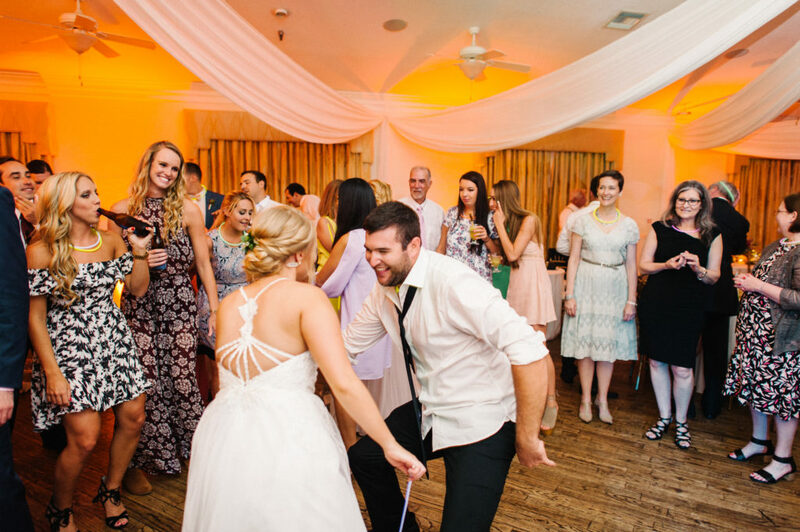 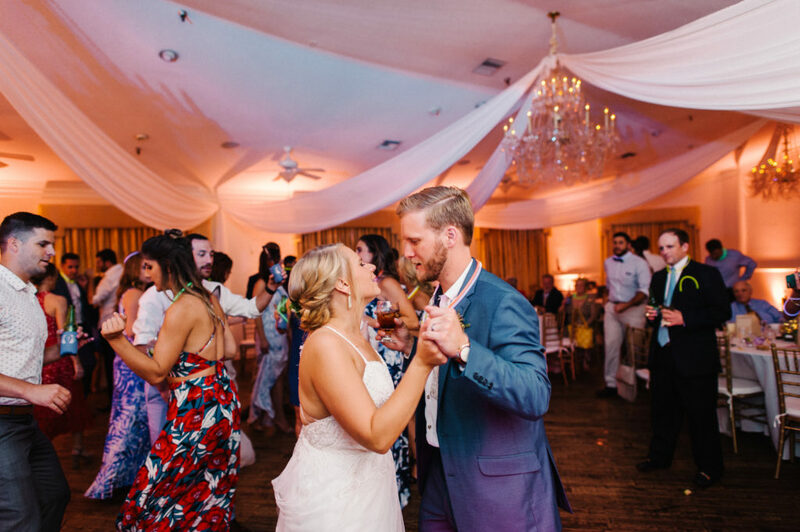 Standing aside their now, wedded friends, the bridal party and our Newlyweds prepared for a night of celebration and a little bit of dancing. 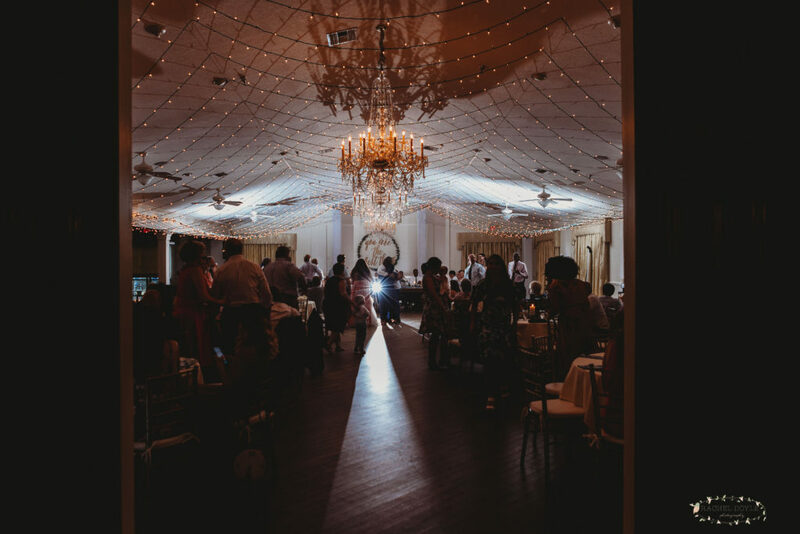 Finally… the decor is set, the floral was all in place, and the lights were shining brightly for the newlyweds to celebrate their love. 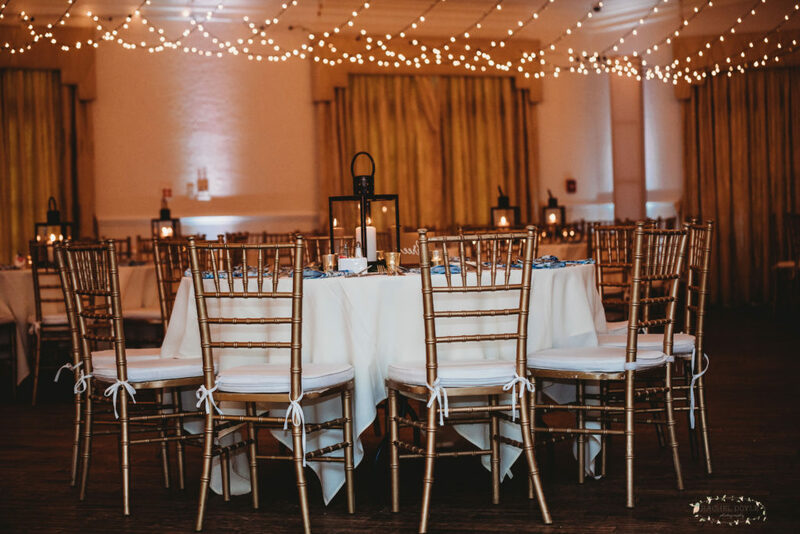 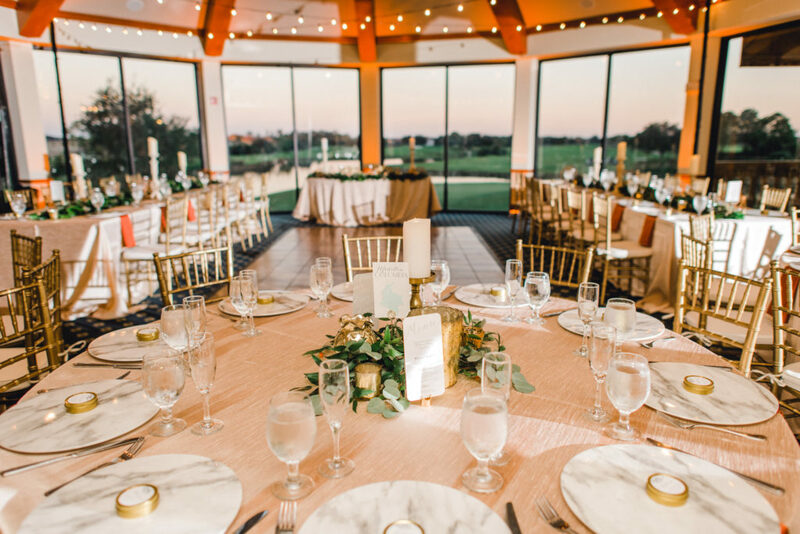 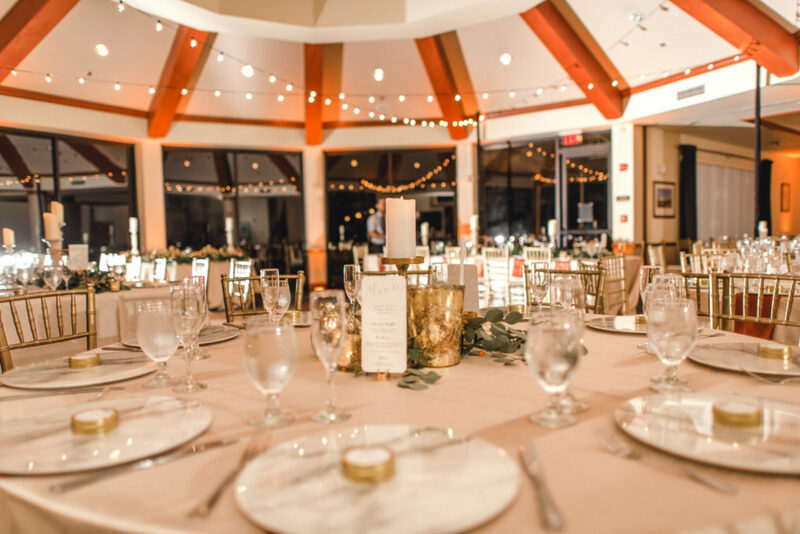 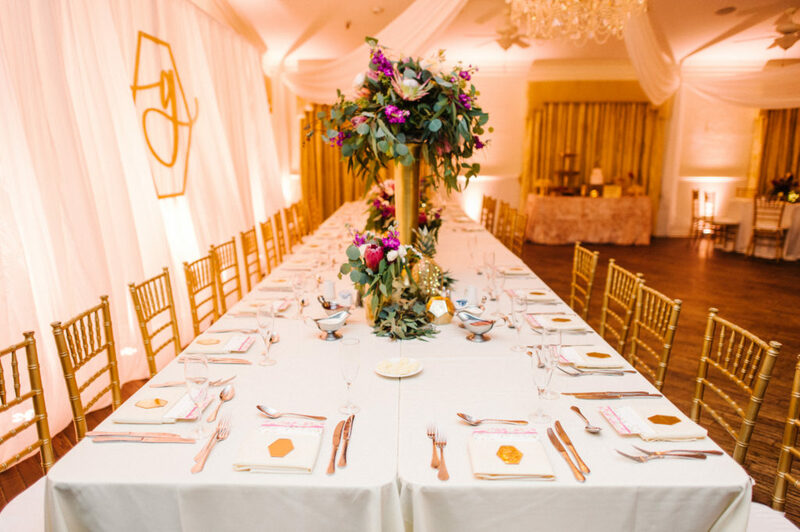 As the guests are shown into the event space they are met with custom gold decor by DoTellCaligraphy, greenery filled floral with pops of color, and with the house lights dimmed, we provided our signature lighting service to spread a little FyerFly magic through out the event space. 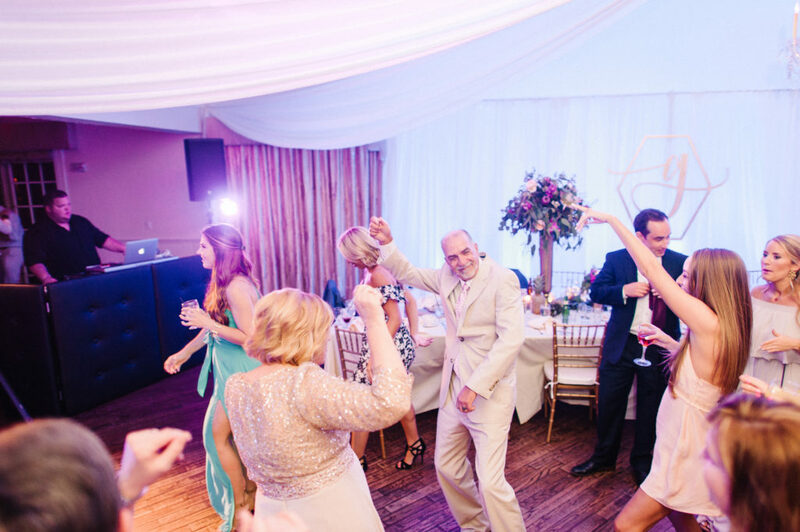 After the beautiful first dance, dances with mom and dad, and dinner service had been completed…It was time to DANCE! 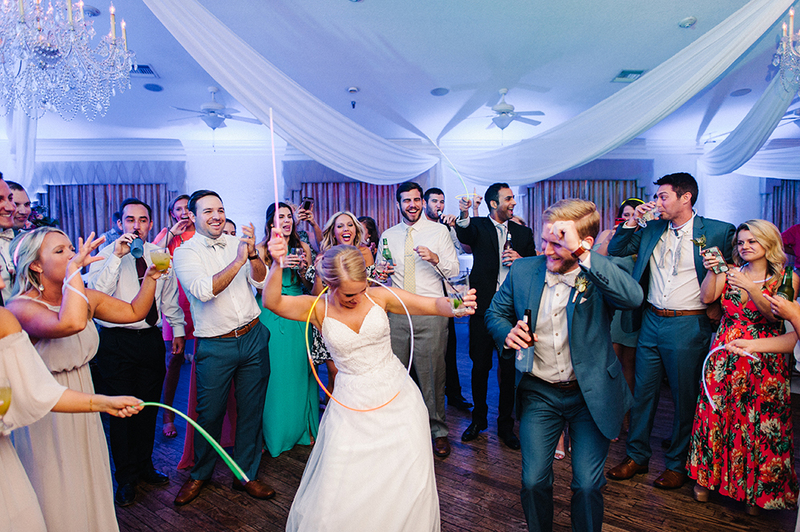 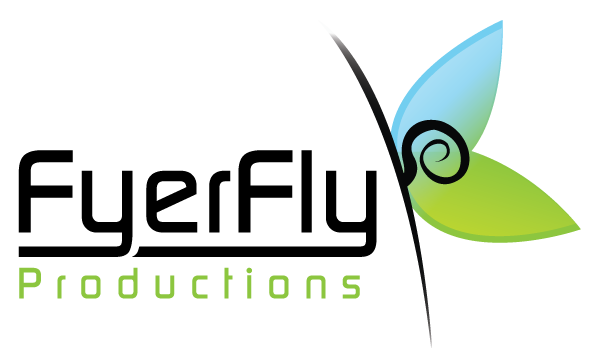 So without further explanation…Sit back, grab a brew of your choice, and enjoy the love story of Paige and Mike! 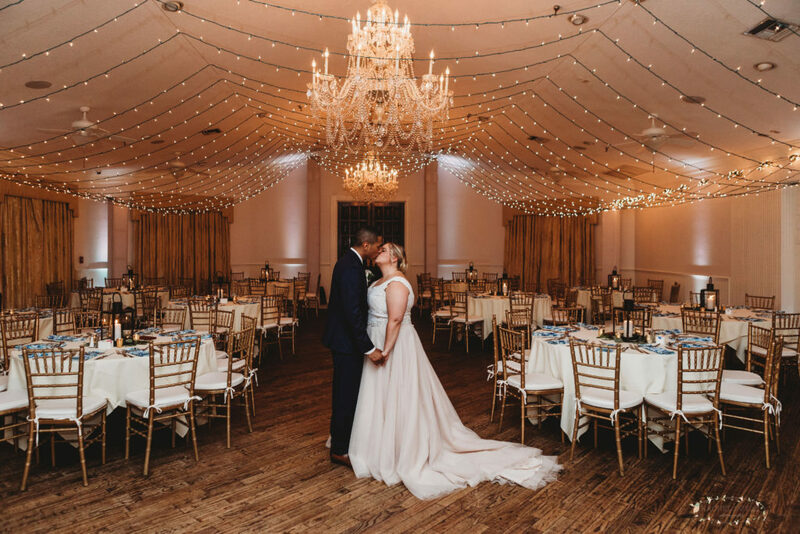 We were honored to be a part of Laura and Rory big day at the beautiful Alfond Inn hotel located in downtown Winter Park. 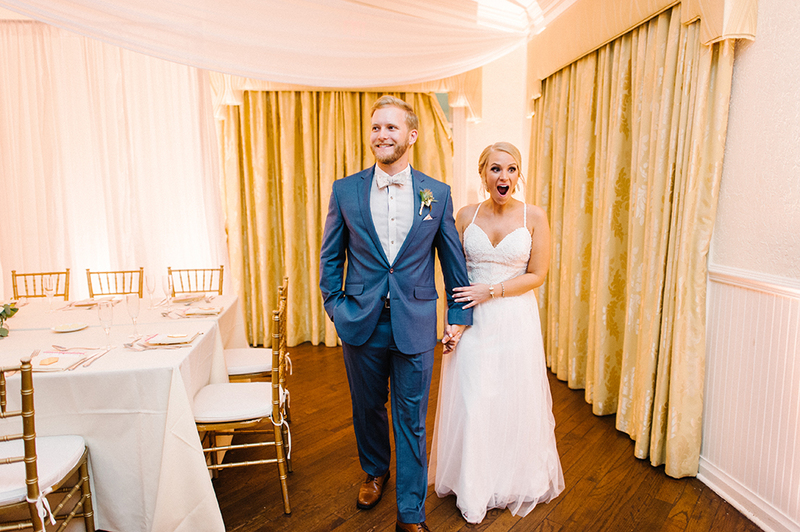 The hotels small town feel and boutique-style was just what the couple wanted. 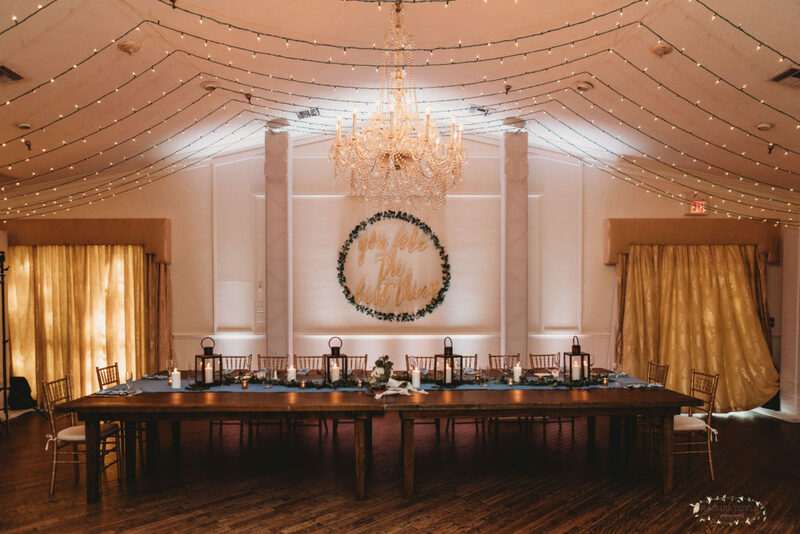 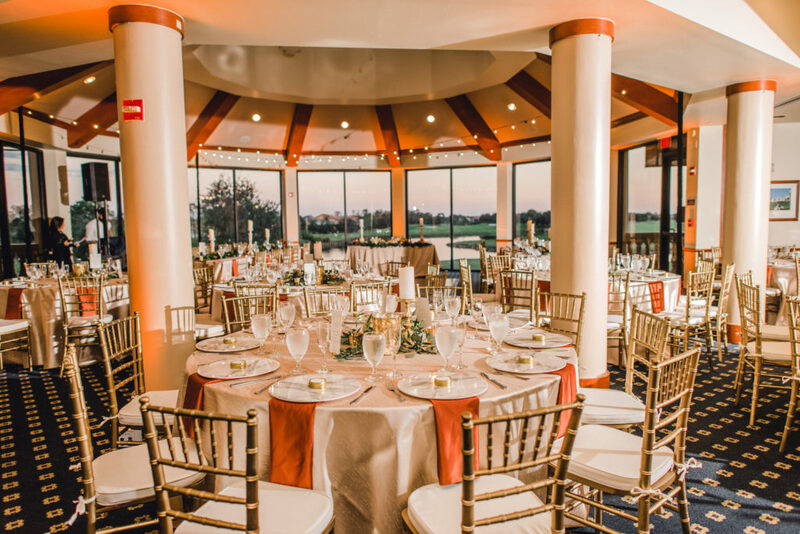 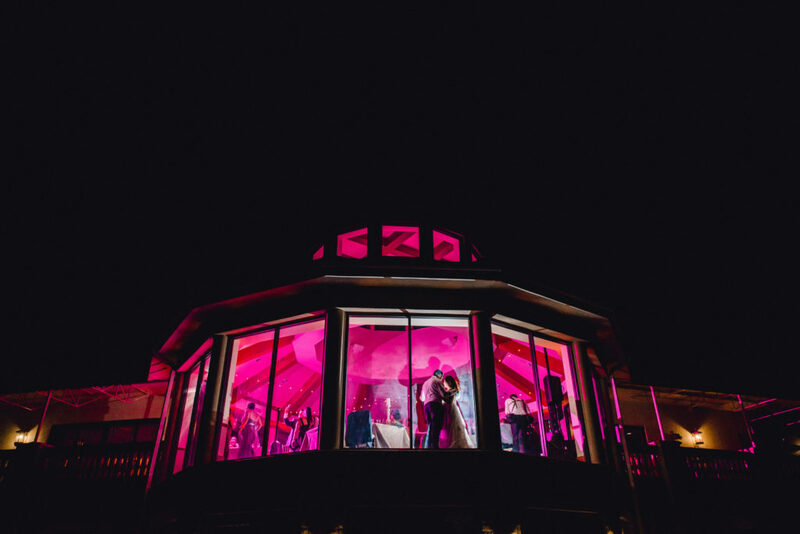 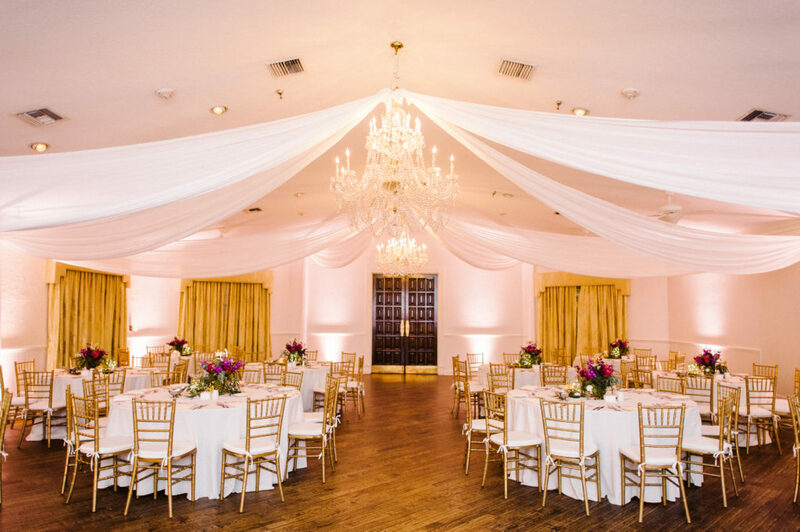 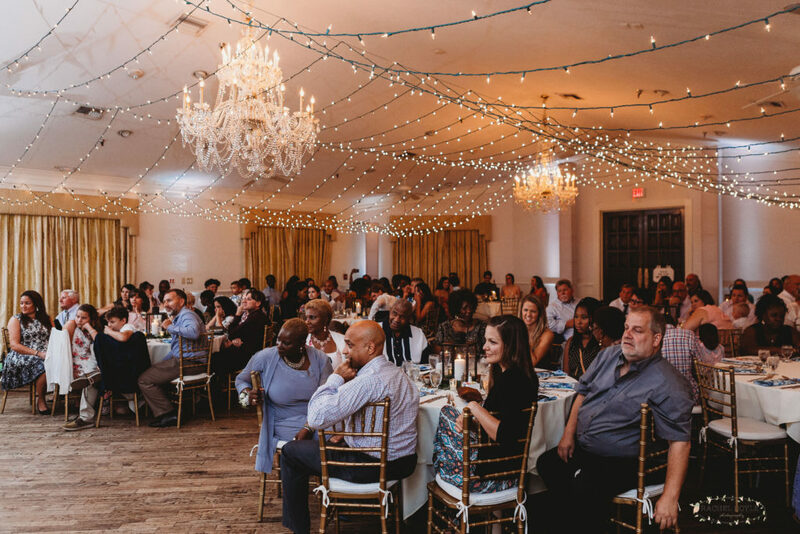 It’s walkability and architecture, combined with its elegance made it the perfect venue for a manageable and very personal intimate wedding experience. 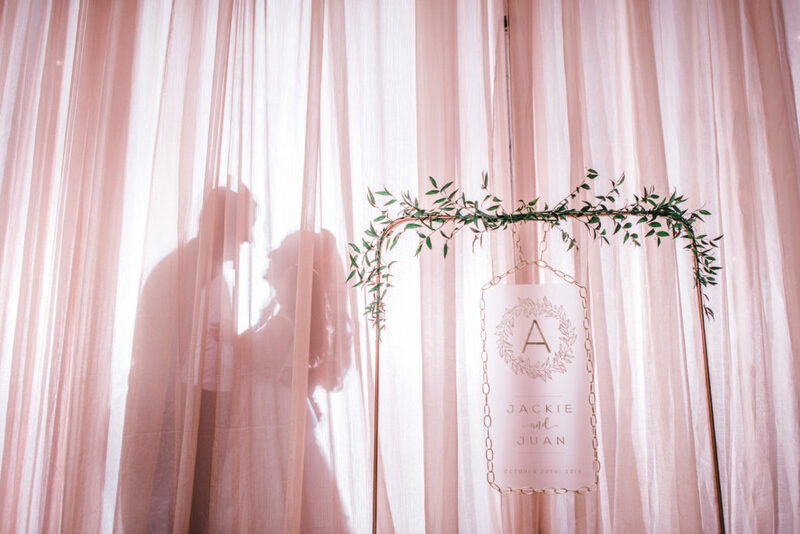 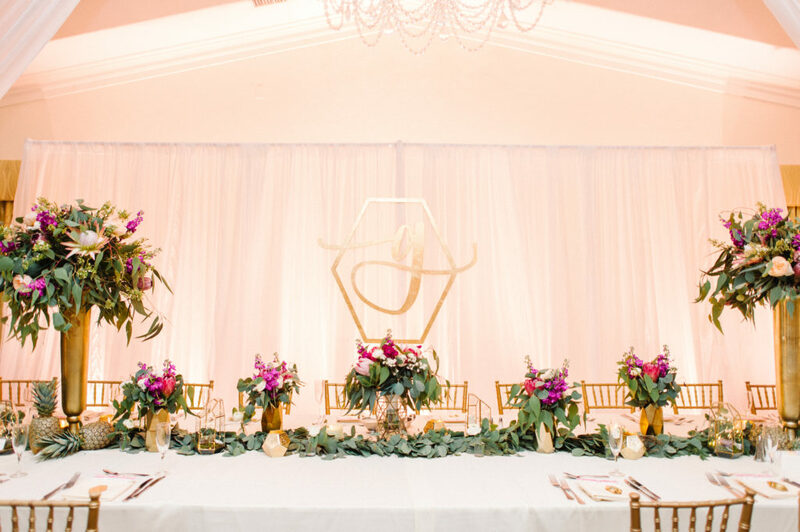 We loved the couple’s choice for the color palette in the reception space. 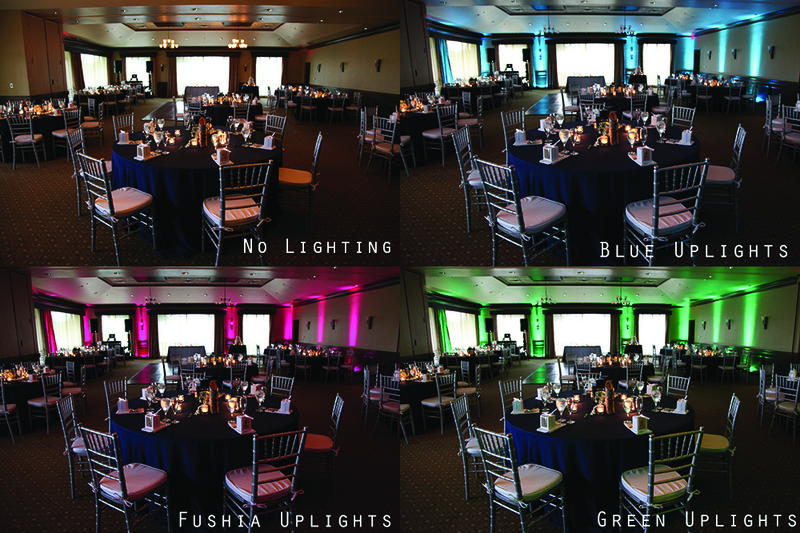 The uplighting, pinspots and color wash provided by FyerFly just made the décor all come life. 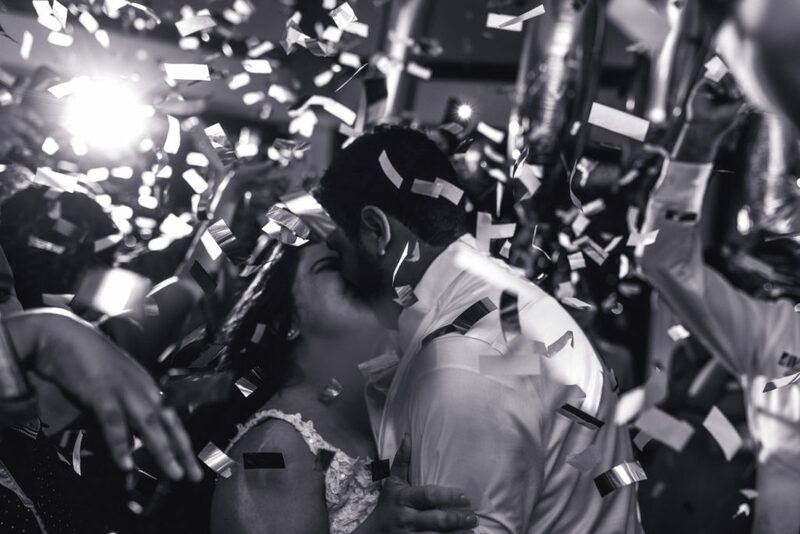 We wish the couple all the happiness in the world!